Three T-26 light tanks made in the Soviet Union travel through a field during a battle in Spain, during the Spanish Civil War. Spain's brutal civil conflict gave the Soviet military an opportunity to test its combat readiness in the event of a “big war” on the continent... On Spanish soil, it faced off against an old adversary—Russian “White” officers yearning for revenge after the dreadful events of Russia’s own civil strife. Soviet forces were instrumental in helping the Spanish People's Republican Army (PRA) keep hold of the country’s main city throughout the entire war. Arriving on the scene in October-November 1936, when the city’s fate was on a knife edge, they rolled into battle at the crucial moment. Having launched a large-scale offensive against the capital, the Francoists did not expect to encounter serious resistance. 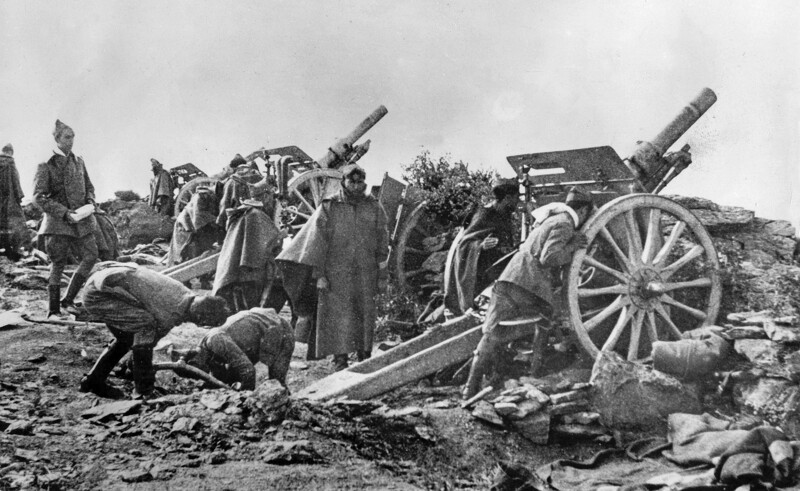 By October 23, their tanks had reached the southern approaches of Madrid, and the city seemed all but doomed. 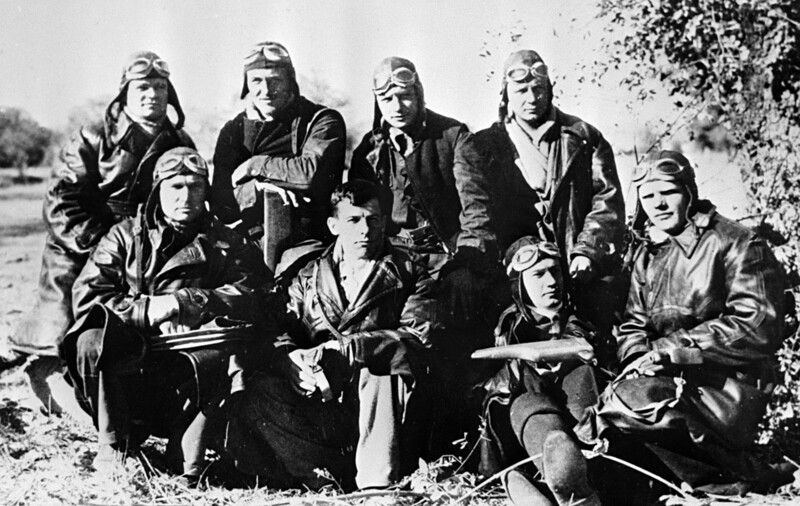 Soviet pilots on the Soto airfield near Madrid. But they were unpleasantly surprised to be met by a PRA counterstrike full of shiny T-26 tanks freshly delivered from the Soviet Union. The tank units of Captain Paul “Greize” Arman and Brigadier Dmitriy “Pablo” Pavlov performed admirably. And in the skies over Madrid, dozens of Soviet I-15 fighters did battle with German and Italian pilots. What’s more, Tupolev ANT-40 bombers carried out frequent raids, and Soviet sabotage units even began to operate in the rear of Franco’s troops. The Nationalist offensive was choked off, managing to enter Madrid only at the very end of the war, on March 28, 1939, when the Republic’s days were already numbered. The world’s very first tank ram was carried out by a Soviet tank crew. 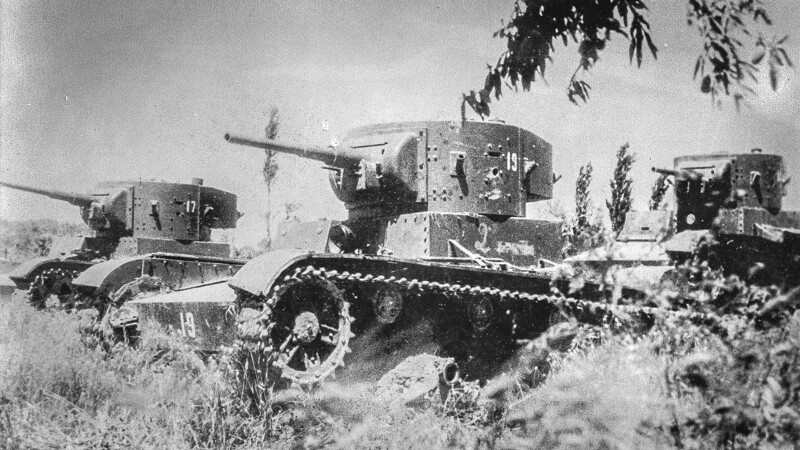 On October 29, 1936, during the Battle of Seseña (30 km from Madrid), T-26 Lieutenant Semyon Osadchy rammed an Italian CV-33 tankette into a hollow. 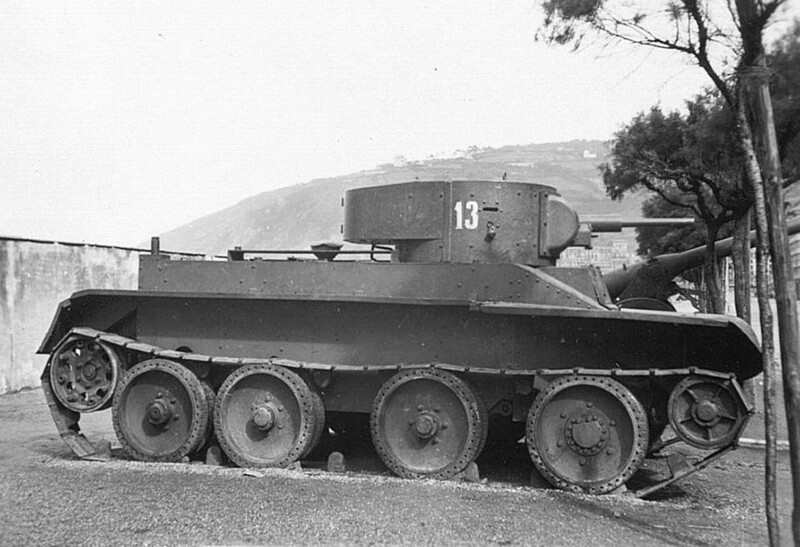 Soviet tank BT-5 supplied to the Spanish Republic Army. Osadchy himself didn’t have long to celebrate his feat. On November 3, both his legs were torn off by a shell, and ten days later he died in the hospital from gangrene. Not just the first, but also the second tank ram in history belongs to the Soviet Union, and again in Spain. In March 1938, a Soviet BT-5 light tank found itself outnumbered by a group of German T-1s. Damage to the sight and observation instruments meant that the Soviet machine could no longer fire effectively at the enemy. It was then that Commander Alexei Razgulyaev decided to turn his tank into a battering ram. The BT-5 rammed the nearest T-1, overturning it. Stunned, the remaining German tanks retreated. The Russian Civil War (1918-1922) split the country into several irreconcilable camps, but roughly speaking, most combatants sided either with the “Reds” (Communist) or the “Whites” (pro-Tsarist and anti-Communist). After terrible bloodshed, the Red victory forced thousands of Whites to flee their homeland forever. But not all of them accepted their fate lying down. In the similarly vicious Spanish Civil War, many Russian émigrés eyed an opportunity to avenge Soviet Russia for their suffering. Observing how the global powers were being sucked into the conflict, they realized that the Spanish Civil War was a warm-up for an even greater future conflict against Bolshevism—and it was their duty to assist. Francisko Franco decorates his officers. Russian volunteers who joined the Nationalist cause were given a rapturous welcome. 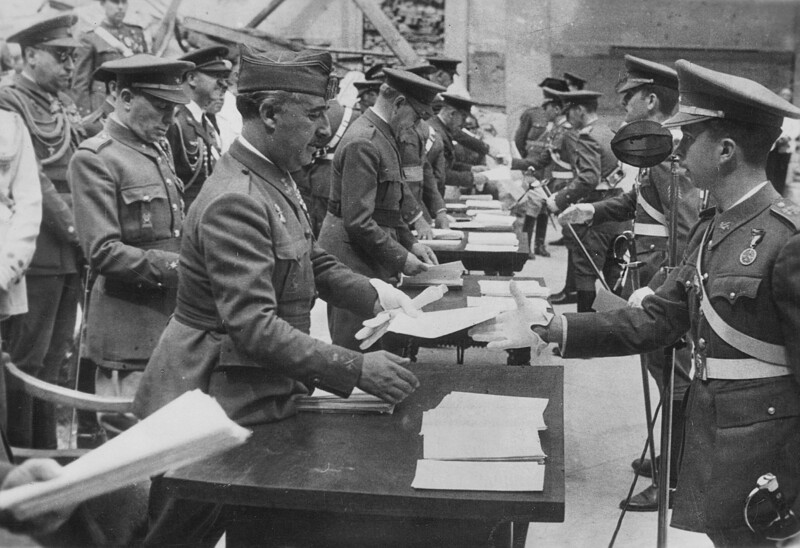 Franco needed a command staff, and the hugely experienced White officers fit the bill perfectly. Of the 72 Russian émigrés who took part in the Spanish Civil War on the side of the Francoists, 34 were killed. At the victory parade in Valencia on May 3, 1939, Russian volunteers marched in a separate column under the flag of the Russian Empire. Not all White émigrés were inclined to fight against the Soviet Union, however. Some saw the Spanish bloodbath not as an opportunity to exact revenge on the Communists, but, quite the opposite, as a chance to make peace with their former enemies. The Russian émigrés were deeply surprised by General Andrei Yesimontovsky’s decision to side with the Republicans. He had actively fought against the Reds during the Russian Civil War, and in exile was considered a die-hard monarchist. More than 300 Russians fought in the International Brigades in the Spanish Civil War. After the war, most were interned in camps in France. By no means all of them longed to return to the now Bolshevik Russia, but for the few dozen that did, the Soviet consulate issued exit permits. The Soviet Union's involvement in the Spanish Civil War had negative consequences for Moscow-Madrid relations for many years afterwards. For the rest of his life, the Spanish leader Francisco Franco harboured a deep hatred for all things Soviet, making no exception for sport. At the 1960 European Nations’ Cup soccer tournament (the forerunner of the European Championship), the Soviet team was due to face Spain in the 1/4 finals. The winner of the two-legged tie would earn the right to travel to France for the semi-finals. 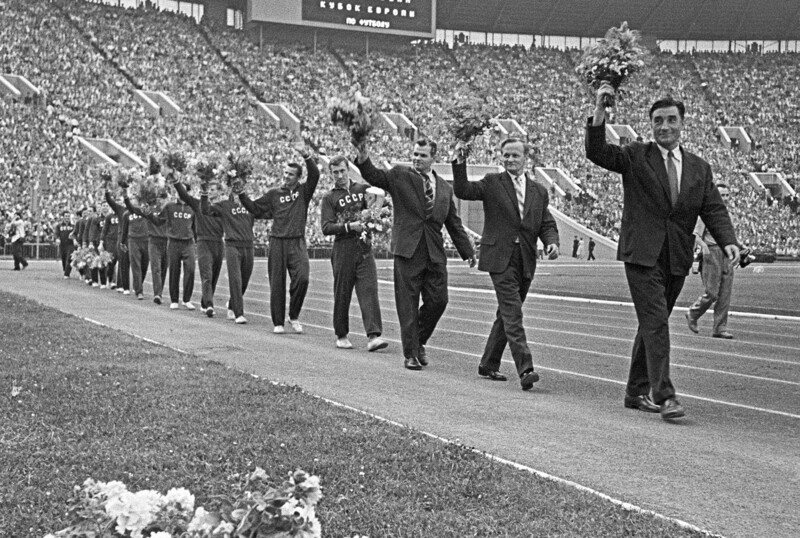 The Soviet national football team reigned supreme following the 1960 European Cup for the first time in its history. At the time, Spain was a soccer superpower. Real and Barcelona were unrivalled across the continent, and Alfredo Di Stéfano (who played for Spain despite being Argentinian) and Luis Suárez Miramontes were considered the finest players in Europe. The Soviet team, also highly rated, were licking their lips at the prospect of battling the Spaniards in a less violent arena, but Franco put a stop to it, refusing to allow the Spanish national team to travel to Moscow for the first leg of the tie. The Spanish boycott meant that the Soviets received an automatic bye. Having waltzed past Czechoslovakia in the semis and overcome Yugoslavia in the final, the Soviet players were crowned champions of Europe — largely thanks to Franco. Quiz: Common struggle with the Nazis in WWII – how was it?